With 4.7 from 800+ reviews we are Sydney’s highest rated removalist and the most affordable. When seeking a Sydney removalist more people choose to move with the best, ZOOM Removals. 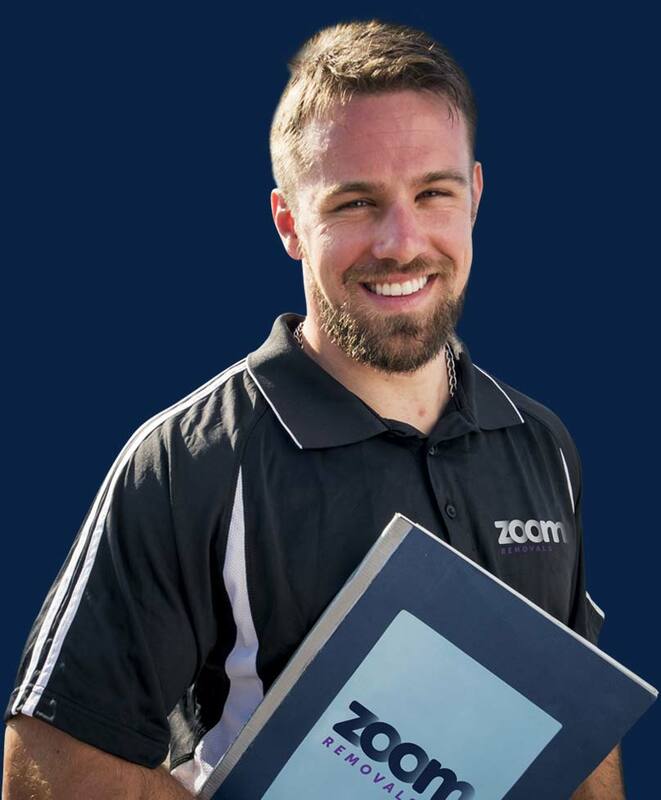 In fact over 5,000 Australians trust ZOOM as their moving company each year, and we bring a decade of furniture removal know-how with every team having years of professional experience. Services span relocating everything from a single piece of furniture to small apartments to large homes. Our versatile fleet of modern moving trucks, attentive Move Coordinators and teams of experienced furniture removalists make moving in Sydney, to country New South Wales and interstate to Canberra, Brisbane, Melbourne, Adelaide, Perth, Hobart and Darwin simply a breeze. People have made us their go to local, country and interstate moving company due to the care we put into every move, our competitive removal rates and our reputation for quality. It’s how we have achieved and sustained the best local removalists rating in Sydney on independently submitted Google Reviews from our customers. Call Sydney’s best mover today on 1300 157 448 and discover why we zoom past the competition on service, value and quality. 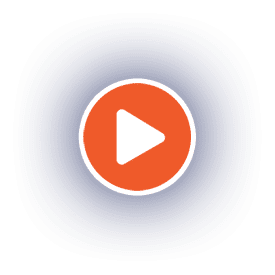 Watch this video to see why ZOOM Removalists Sydney are the #1 rated furniture movers in Sydney for local, country and interstate moves. Want to know your removal costs? We’ve drawn on over a decade of experience to provide you with an immediate way to seek accurate removal quotes online. Use the tools below or call us on 1300 157 448 to speak to one of our expert Moving Coordinators today. For local Sydney removal quotes we will provide you a rate online. For country NSW and interstate removalists costs we will provide a fixed moving estimate from your enquiry within a few business hours. When you need removalist prices quickly use our simple tool to enter basic details to get your removalist quote submitted in under 30 seconds. Hunting for Cheap Removalists in Sydney? Yes, we’re known for being one of the cheapest removalists in Sydney, but did you know we’re also the highest rated furniture removalists across Sydney’s suburbs? We understand many customers are seeking budget removals, so we’ve worked hard to design an exceptional relocation service at an affordable price. What we don’t do is compromise on quality, with every move only completed with experienced, professional and uniformed teams in late model vehicles. What we do is work incredibly efficiently, as well as reducing our overheads that we can pass on to you in savings. You get the same quality for less. Get a quote online, or speak to a Move Coordinator on 1300 157 448 today. 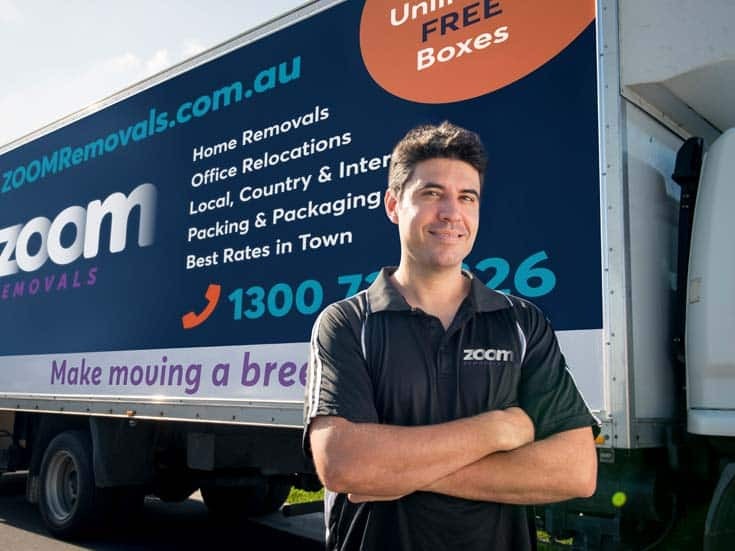 When you combine our service with our additional ways to save, ZOOM Removals adds up to being the most affordable local, country and interstate Sydney furniture removals. We work hard to provide moves on a budget, and we’re one of the most affordable AFRA Member removalists in Sydney. Compare our service and price and choose ZOOM for your next move. If you are seeking a low cost local removal we hold the half hour call out fee on Tuesdays so you can enjoy a cheaper move. If you are seeking a mid-week move consider this options to save. ZOOM Removals covers all services on your relocation so you can focus on making your new house a home. Enquire about our optional services when you request your quote to make your upcoming Alexandria move a breeze. We offer fully insured and secure short and long term storage from just $22 per week including GST and the first month free for 6 month contracts. Enjoy no lock in contracts and a range of storage solutions. Save the hassle of packing and let us do it for your from just $55 per half hour including GST. Two professional packers can pack your house in the days before the move to prepare it ready for uplift. We will enter your existing premises once pickup has occurred and clean it from top to bottom ensuring your meet your lease requirements and left in the best position to get your bond back. Can You Trust Your Removalist? How do you choose a removal company that will do the job properly, and that you can trust completely? Fair Trading NSW has some top tips on choosing removal companies. Read the guideline and see how ZOOM ticks all the boxes. Moving locally in Sydney varies depending on where your pickup and drop off are located. Sydney has been labelled the ‘accidental city’ which can be quite a deserving title when you consider the sprawl and the lack of a coherent roadway grid. A rapidly changing landscape has been the norm since the 2000 Olympic Games, and Sydney has not look backed since. A recent burst of activity has seen entire new precincts and suburbs pop up all across our amazing city. New zoning has seen the rapid increase in density, and new apartment complexes and developments include fantastic modern amenity that buyers and renters are seeking. The infrastructure across Sydney is seeing a massive facelift with light rail, rail, road and airport projects enhancing the flow of people and product in all directions. But as much as the greater city expands it will always be centred around the amazing harbour and the waterfront that Sydney is renowned for, by locals and tourists alike. 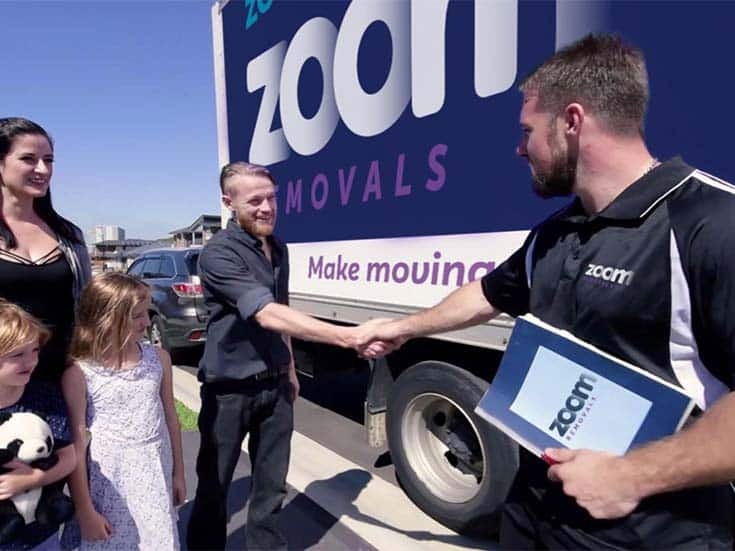 ZOOM offers a range of removal services and trucks to suit all our Sydney customer’s needs. From small vehicles to cart a few items of furniture in the west, to moving an entire mansion in the east, we have you covered with the experienced teams and versatile fleet to manage it all. We complete all local Sydney moves with the utmost efficiency, and we perform our moves with care ensuring your prized possessions are protected and looked after every step of the way. We have specialist teams and removals trucks for detached homes and for tight apartment moves. Your dedicated Move Coordinator will work with you to ensure a seamless move, and we assure our customers of a quality moving experience. You will want to consider parking for the removalist truck as close to your front door as possible. Reducing the carting time of furniture from your home to the truck can significantly reduce the length of time on your move. Being ready for the movers to arrive, with all boxes packed and whatever furniture required to be dismantled already in pieces will ensure the shortest time during the removal. Your removal team will bring all equipment with them on the day, and please make note of any fragile and sensitive items while we are conducting the initial walk around. Your move leader will discuss the driving route to drop off they will take, and with your permission any toll roads taken will have the fees added to bill for the move.